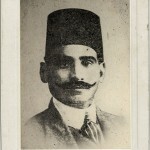 Despite the popularity of Muhamad Othman’s Adwar and Muwashahat among singers and throughout generations to our day, and despite him being, along with Abdo al Hamuli, one of the two pillars of the renaissance musical modernization that started in the 19th century, we know very little about this great artist. And the only photo we have of him may not be actually of him. 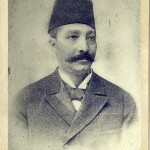 Muhamad Othman was born in Cairo in 1855. His father was Sheikh Othman Hassan who taught the Holy Qur’an at the Sultan Abi l’ ‘Alaa’ Mosque. He took to music at a very young age, imitating singers and praise chanters. As soon as Sheikh Othman Hassan discovered his son’s talent, he made him join Qustandi Munsi’s band. Munsi taught him ‘Ud playing and singing. After his father died, he joined the Ali al-Rasheedi al-Kabeer band and went deeper into the art of singing. He created his own composing style and formed his own band. He reached a peek of fame close to that of Abdo al Hamuli. Othman is considered to be one of Sheikh al Shalshalmuni and Mahmud al Khadrawi’s students. His teachers were also Al Hage al Rafi’i and Hassan al Jahel (the famous violin player). 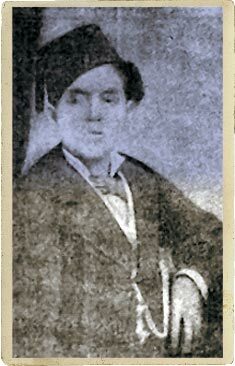 His voice was said to be loud, melodious and moving, and the reason why he was very often accompanied by an assistant with a thin voice, singing the upper octave notes while he sang the lower octave notes. His melodies were distinctive. Al Hamuli took from him a number of these and revisited them according to his whim. Competition was at its peek between both friends Muhamad Othman and Abdo al Hamuli, as the latter used to sing Adwar with his own composing and Muhamad Othman used to compose a different music for them. Othman had a throat disease that almost completely destroyed the beauty of his voice. He thus turned to composing instead of singing. Kamel al Khula’i says about Muhamad Othman to this effect: His superior intelligence led him to make up for his weak voice by inventing a creative way: motet and reply in singing in a style ears recognize and spirits like…”. By this, al Khula’i meant the introduction of Mazhabgeya (or Sannida) in singing with a singer and the exchange between both in singing specific parts of the Dawr Muhammad Othman had added or developed, notably the “Ahat” and the “Henk”, even if we are not sure that the reason for this modernization really is the one al Khula’i stated. Muhamad Othman travelled with Abdo al Hamuli to Istanbul where he came across some aspects of the music industry in Turkey. He benefited from his experience there and it is said that he brought to Egypt a new key: the “Shawq Afza”. 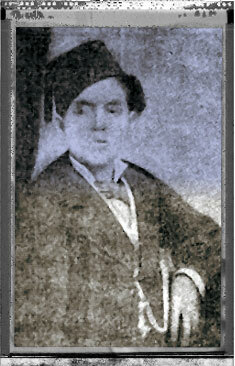 Soon after he went back to Egypt, his illness worsened and he died on December 19th 1900. Muhamad Othman left us a substantial legacy of Adwar and Muwashahat some of which live to our day. Such as: Adwar: “Kadani l-Hawa” (Nahawand), “‘Ishna W Shufna” (Dalansheen), “Asl el-Gharam Nazra” (Rast), “Gani l-Habeeb wi l-Kas bi ‘Iduh” ( Nawa Athar), “El-Yawm Safa Da’i l-Tarab” (Shawq Afza), “Lisan el-Dam’ Afsa’ Min Bayani” (Iraq), “Jaddidi ya Nafs Hazzik” (Bayati). And Muwashahat: “Mala l-Kasat” (Rast), “Atani Zamani” (Rast), and “Isqini l-Rah” (Hijaz Kar).